There's no shortage of high-risk stocks on the market today. Here's a look at seven of the most promising. Perhaps the most important part of choosing investments is determining how much risk you can take on. 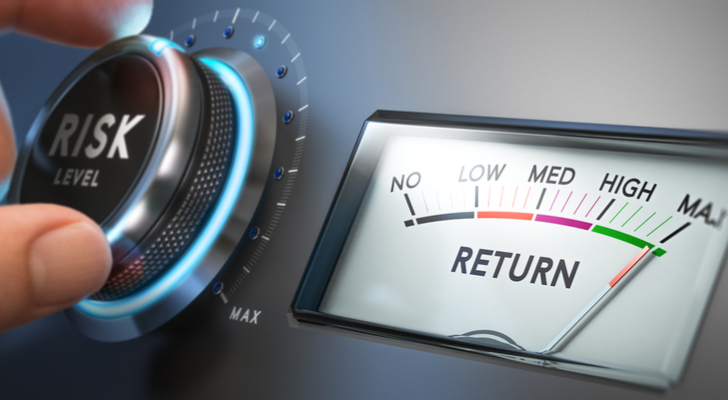 Ultra-risky stocks often have the potential to deliver impressive pay-days while safe, tried-and-true investments tend not to raise eyebrows with their gains. 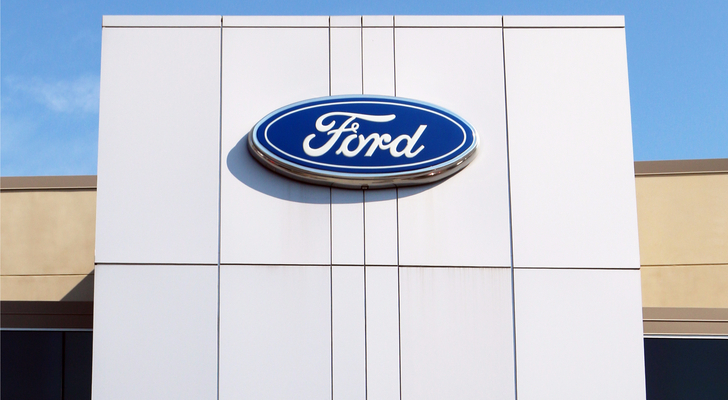 It’s been a difficult few years for automaker Ford Motor Company (NYSE:F) as the industry evolved, but with the stock trading at rock-bottom prices and a bold new strategy in place, it could be time to reconsider. Investors were shocked when CEO Jim Hackett announced plans to pivot away from sedans, instead directing the majority of Ford’s investment toward trucks, vans & SUV’s. The strategic decision has had a mixed response — some analysts claim that it is short-sighted. While larger cars are popular now, a surge in gas prices could create an exodus from gas guzzlers similar to what we saw back in 2008. That certainly is a concern, but I don’t see things playing out that way again. First of all, regulations regarding emissions have forced automakers to create larger, more powerful cars that are also efficient. More importantly, though, is the fact SUVs are in high demand and they are profitable. Ford’s management is capitalizing on that, and rightly so. The auto industry as we know it won’t be around for long. Electric vehicles are gaining popularity, self-driving technology is pushing forward and ride-share services are quickly cutting down on the population’s need for cars. Companies like Ford need to get as much cash in the bank as possible to invest in new technology and carve out a place in the future. That’s exactly what Ford is doing with this new strategy and although there are a lot of “ifs” in there, Hackett’s new focus is a step in the right direction. It would be impossible to talk about high-risk, high-reward stocks without including some marijuana investments. The marijuana market is growing exponentially as the drug becomes a more mainstream treatment for a wide-range of illnesses. Of course, with legalization still a question mark in many states and the majority of countries around the world, marijuana companies fall into a high-risk category. 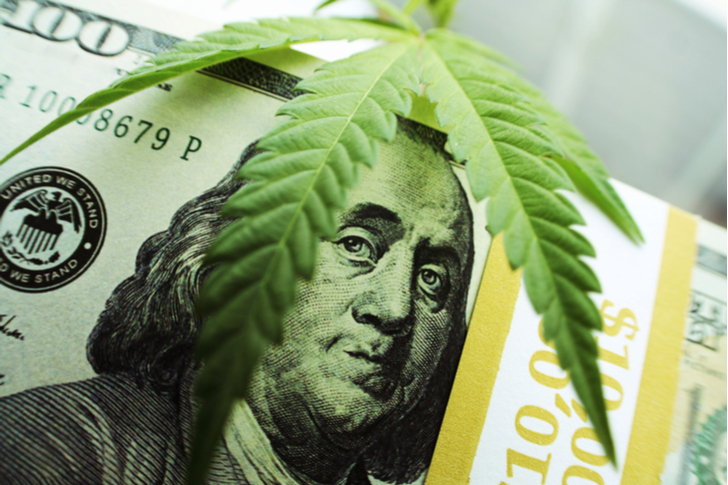 There are several pot companies to choose from, but one I particularly like is Cannabis Wheaton Income Corp. (OTCMKTS:CBWTF) because the firm fills a particular need among marijuana businesses — financial backing. 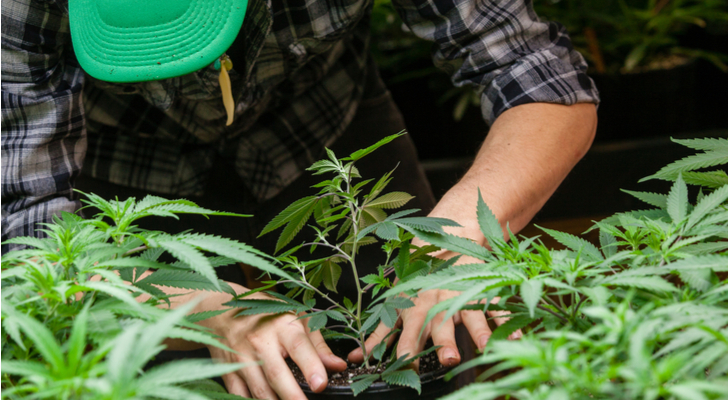 As the industry is still plagued with legalization issues, banks are unable to offer the same small-business loans that other sectors enjoy. That means that finding the financial backing necessary to create a successful growing operation is difficult. Cannabis Wheaton has filled that gap by offering marijuana companies the capital they need to fund their expansions. Growers pay a percentage of their production and allow Cannabis Wheaton to buy marijuana at below-market rates. The firm then sells that marijuana at market price and keeps the difference. The firm estimates that its internal rate of return is as high as 60% — making it one of the most profitable companies in the industry. If you want to invest in pot but you’re not up for the ultra-high risk that stocks like CBWTF carry, a good option is UK drug maker GW Pharmaceuticals (NASDAQ:GWPH). The pharmaceutical company has been working to develop medicinal drugs derived from marijuana plants. GW’s marijuana-based treatments use a part of the plant called cannabidiol in order to treat seizures associated with epilepsy. The drugs don’t utilize the THC found in marijuana. Right now, marijuana-based medicine doesn’t contribute much to the company’s bottom line, however that could change. Epidiolex, the company’s cannabidiol medication, is on its way to gaining approval from the Food and Drug Administration, making it the first of its kind to pass the FDA’s rigorous testing. GW isn’t as pure a marijuana play as others like Cannabis Wheaton, but the stock certainly stands to benefit as the drug becomes a more mainstream treatment. Right now GWPH is on the verge of having its treatment approved (or potentially denied) — and that approval could put the company on par with its larger biotech peers. 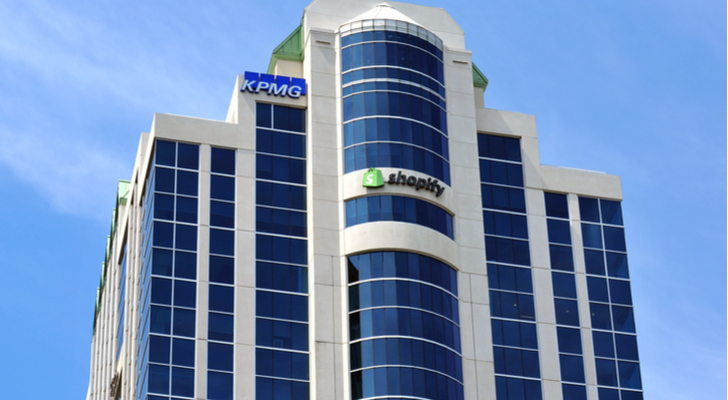 E-commerce platform provider Shopfiy Inc. (NYSE:SHOP) has had a tremendous run over the past few years as more small-business owners used the firm’s technology to create and manage their own storefronts. The firm has impressed investors with strong quarterly reports over the past few years, which has led to a lofty valuation and ultra-high expectations. However, like most young, high-growth companies, SHOP has had its fair share of volatility, including a near 5% drop following its Q4 results and an almost 20% slide earlier this month when investors worried that data protection scandals would weigh on the firm’s growth. At just shy of $130 per share, SHOP stock has come down significantly from it’s $153 per share highs in just a few weeks, making now a great entry point. Realistically, SHOP investors have to expect a certain degree of volatility as the stock grapples with high expectations and bits of bad news. The company’s Q4 results were strong despite being marginally lower than we’ve seen in past quarters, so although some of the recent pullback makes sense, it’s a bit of an overreaction. The same is true with the data protection issues — tech companies like Facebook, Inc. (NASDAQ: FB) and Alphabet Inc. (NASDAQ:GOOGL) are under a microscope right now with privacy concerns at the top of the public’s mind — but like any big scandal that provokes public outrage, it will pass. SHOP is unlikely to see any meaningful dent in its membership numbers due to privacy worries. There’s a lot of risk associated with SHOP stock because the firm is still in its early stages and hasn’t become profitable yet — however if you’re willing to ride out some turbulence it could be a great longterm play. SHOP has only just begun to sign on some bigger name companies and its platform is likely to grow exponentially alongside e-commerce. Investing in a stock solely on the hope that it becomes an acquisition target isn’t the wisest strategy. However, if you’re comfortable with high levels of risk then Blue Apron Holdings Inc. (NYSE:APRN) is your best takeover bet. The meal delivery services has been struggling since it’s IPO when it debuted near $10 per share. Since then, APRN stock has tumbled to just over $2 per share as the company struggled to retain customers. Part of the reason for APRN’s fall from grace has been management’s massive overspending issues. The company spends heavily to attract new subscribers but unfortunately, many of those people don’t stick around for long. That means Blue Apron has had to work even harder to continue finding new markets and getting new signups. So, with very little going for itself, investors might be wondering why APRN would ever be considered a buy. 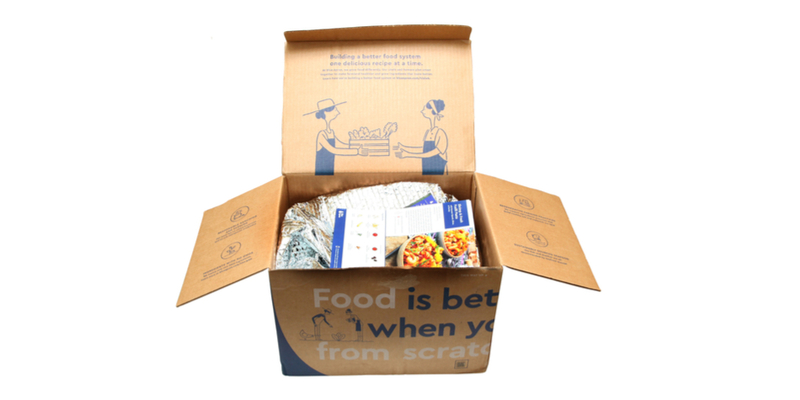 The reason is that Blue Apron looks like a hot commodity for grocers. Analysts have pointed to everyone from Walmart Stores Inc. (NYSE:WMT) to Target Inc. (NYSE:TGT) to Costco Wholesale Corporation (NASDAQ:COST) as potential buyers. All three would benefit from APRN’s business because they are all working to build out their online offerings. While Walmart already offers a line of meal kits in-store, only a limited number of kits are available online. Target could use a meal kit line to help boost its grocery business and Costco has already put the feelers out by launching a partnership program with APRN. APRN stock made a comeback this week after the firm’s first-quarter results showed that earnings were above expectations. More importantly, subscriber growth bounced back growing 5% from the previous quarter. From an M&A standpoint, however, it’s Blue Apron’s operational efficiency that shined in the company’s results. The firm spent just 39.3 million on marketing in the most recent quarter compared to 60.6 million in the year-ago quarter. As APRN becomes more efficient, the firm will look even more appealing to potential suitors. Buying a stock simply because it might be acquired is extremely risky, but if Blue Apron does get acquired investors can expect a payday. Another stock that carries a lot of risk but has the potential to explode is Tivo Corp. (NASDAQ:TIVO). Yes, I’m talking about the same company that popularized TV recording. The company has had to undergo somewhat of a face-lift as cable companies quickly replaced the need for an additional recording service with their own, but TIVO is back and it’s looking more promising than ever. For one thing, TIVO stock could be a winner as cord-cutting continues to gain momentum. Although consumers are starting to abandon traditional cable, many don’t want to give up the ability to record programs and worry about missing out on sports and other live broadcasts. Enter TIVO, with a set-top box that is capable of recording free antenna-delivered broadcasts. The boxes are also set up to stream most of the popular services giving people a one-stop shop to access programming. There’s also a chance that TIVO stock could benefit from licensing deals with big names like Comcast Corporation (NASDAQ:CMCSA). The firm has already begun litigation accusing Comcast of infringing on its patent rights. If the litigation swings in TIVO’s favor, CMCSA could be responsible for paying the firm in order to use its technology. Finally, there’s a buyout possibility for TIVO as well. Analysts have pointed to tech companies like Alphabet, Amazon.com, Inc. (NASDAQ:AMZN) and Apple Inc. (NASDAQ:AAPL), as well as distribution firms like Time Warner (NYSE:TWX) and Comcast, as possible buyers. Any of those firms would benefit from owning TIVO’s patented technology and as the streaming space gets more crowded, having the ability to offer customers live TV in addition to a streaming library could be a big advantage. Almost every stock that operates in the retail space can be considered risky simply because the industry’s evolution has put traditional stores under a lot of pressure. 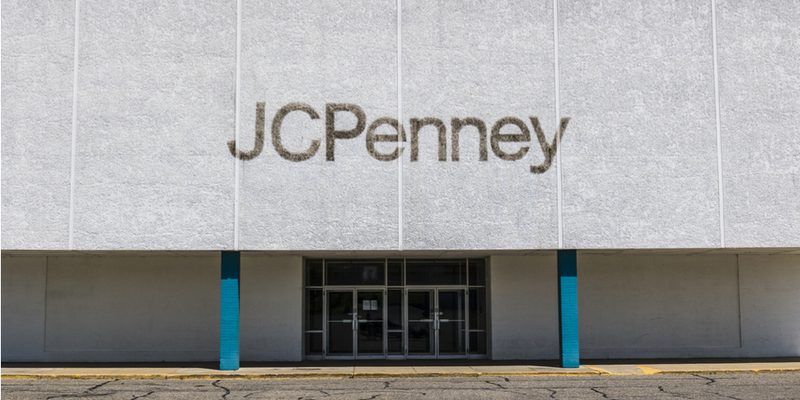 Department store J C Penney Company Inc. (NYSE:JCP) has been one of the hardest hit by the retail apocalypse. Although the firm has made major strides to pull off a comeback, investors are still hesitant to bet on the firm’s recovery. However, that pessimism has created an opportunity for those who are willing to take on the risk that JCP carries — especially when you consider some of the firm’s potential catalysts this year. JCP’s earnings results have shown signs of life recently, albeit faint ones. The firm had a strong holiday quarter and although the Q1 results weren’t dazzling, they weren’t dismal either. The second half of 2018 could be a big one for JCP as some of the retailer’s biggest competitors shutter their doors. Sears Holdings Inc. (NASDAQ:SHLD) is carrying out another round of store closures and Bon-Ton Stores Inc. (OTCMKTS:BONTQ) has finally decided to abandon its efforts to avoid bankruptcy. Of course, those closures mean massive liquidation sales that will likely draw JCP customers in during the first half of the year. However, once the stores are closed analysts see JCP benefitting. Not only has JCP been beefing up its appliance offerings to fill the gap that Sears will be leaving behind, but the Bon-Ton closures should be a boon for J C Penney locations. A Morgan Stanley study showed that 56% of Bon-Ton locations had a JCP within 10 miles. So, although JCP doesn’t look particularly exciting considering it too is a struggling department store, there is an upside that could be coming during the back half of the year. If you’re patient and have a stomach for risk, JCP stock could be a good retail pick. As of this writing, Laura Hoy was long AMZN, AAPL, TWX and FB. Article printed from InvestorPlace Media, https://investorplace.com/2018/05/high-risk-stocks-to-invest-in-right-now/.